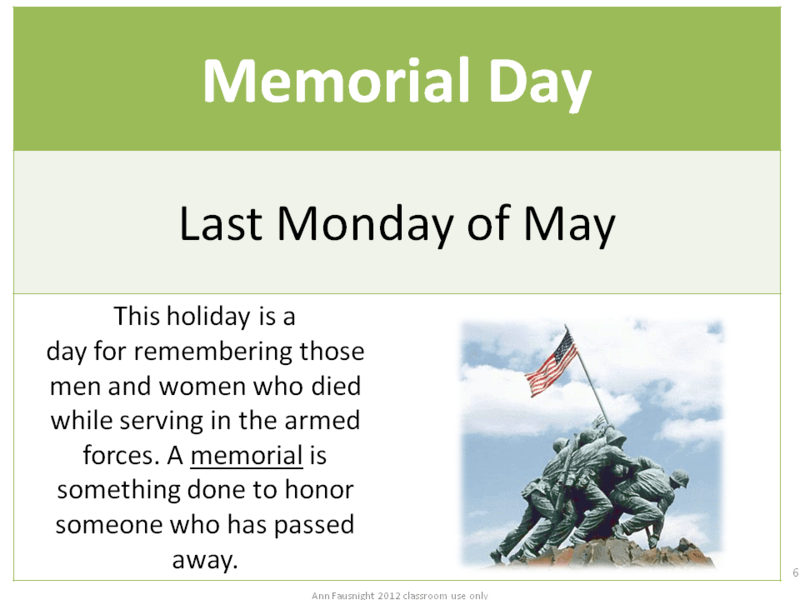 Memorial Day doesn’t get much coverage in schools. It is too close to summer. Some schools are already over before it arrives. Memorial Day is thought of more as a day to celebrate the beginning of summer, than to remember those braves souls who died for our country. My dad served in WWII. He gave up dreams to become an engineer to serve his country in the European Theater. Luckily, he returned safely to marry my mother and began a large happy brood to whom he dedicated his life. At his funeral in 2009, he was fittingly honored with the flag, the bugle, the military personal. There was not a dry eye to be found as we listened to taps. My mom gave the flag to a grandson who has also served in the Army. When I visited Pearl Harbor one year to the day later, I cried freely throughout the day as I grieved for my loss and the loss of so many. This loss is perpetuated by war and yet always we have those brave enough to serve and maintain our freedom. 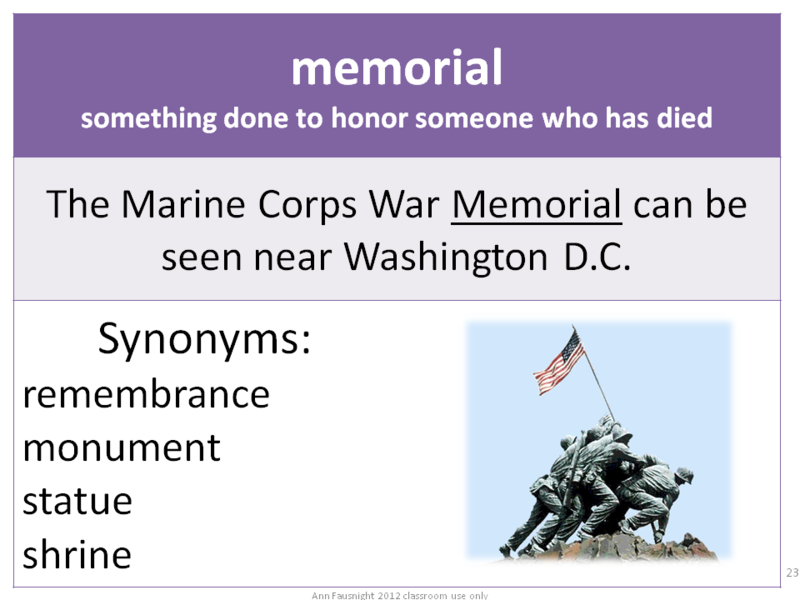 My Memorial Day Scavenger Hunt presents/teaches facts about Memorial Day. It is a great activity for this less focused time of the year because the kids can be out of their seats in search of information. I have a set of National Holiday posters. Here is the Memorial Day one. Please help your students understand the importance of this day this year!